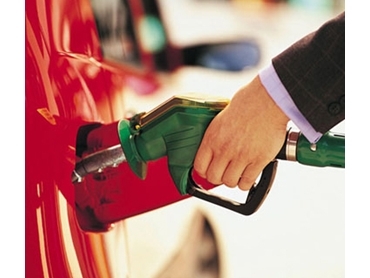 Home > Why Are Fuel Additives Necessary? If they were necessary, surely the oil companies would have included them in the first place? The oil companies do include additives in their fuels and oils to perform specific functions, but they are also vitally interested in meeting competitive costs. A certain additive may be very beneficial to the end product, but if it increases the production cost significantly it will not be used. Unleaded fuel was introduced to this Country with unprecedented promotion by Government and oil companies as the greatest thing since sliced bread. It has been on the market for seven years in Australia, and field experience has not confirmed the introductory promotion. Combustion chamber deposits have increased markedly and many generator sets are so heavily carbonated after a few weeks of daily use, that dealers are removing the cylinder head and decarbonising the engine so the set will continue to operate. Fuel injector fouling, earlier blamed on the lead content in Super Fuel, is more prevalent in unleaded engines, particularly in high ambient temperatures. Oil companies are now advertising their new additives on National Media. Many companies are introducing fuel injector cleaners to be marketed through their service station outlets. Previously these have only been available through major car dealers. Obviously there are problems with unleaded fuel in Australia similar to those experienced in U.S.A. over the past 15 years. Some of the fuel system cleaners contain alcohol which can absorb water, but not break it down. It can also dissolve fuel hoses, fuel pump diaphragms, and similar rubber compounds. Others contain ammonia which can be highly corrosive. All these fuel system cleaners must be handle with extreme care, and put through the system in the shortest possible time to minimise harmful effects. Most are "shotgun" or "desperation" treatments used when engines misfire and run erratically. Some other fuel additives have been taken off the market as they contain metallic compounds which can poison Catalytic converters costing $300.00 to $1,000.00 to replace. Now is the time to grasp the golden opportunity to enjoy the benefits of the Pro-Ma Performance Products Fuel and Oil Additives that have stood the test of time, and have proven their effectiveness. PT5 Petrol Treatment from Pro-ma Fuel and Oil Additives is even more effective in unleaded fuel engines, especially in providing essential valve and valve guide lubrication and controlling combustion chamber deposits. These products are guaranteed not to harm engines and delicate areas of the fuel system when used as directed.